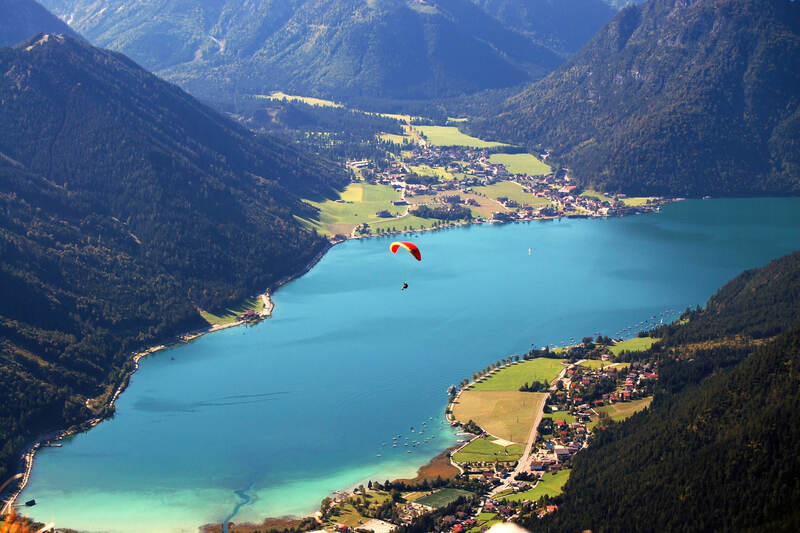 In addition, the Achensee Paragliding School is a DHV Performance Centre (German Hang Gliding Association) and one of the few providers of DHV-authorised safety training. Thus professional flight training with competent instructors who meet the highest standards is guaranteed. Please take a look at the website of the Gleitschirmschule Achensee for further information. There are moments in life when the world comes to a standstill. Moments in which, for a short time, your heart stops beating. Moments in which, afterwards, you are not sure how long they lasted. One of these moments belongs to a tandem paragliding flight. 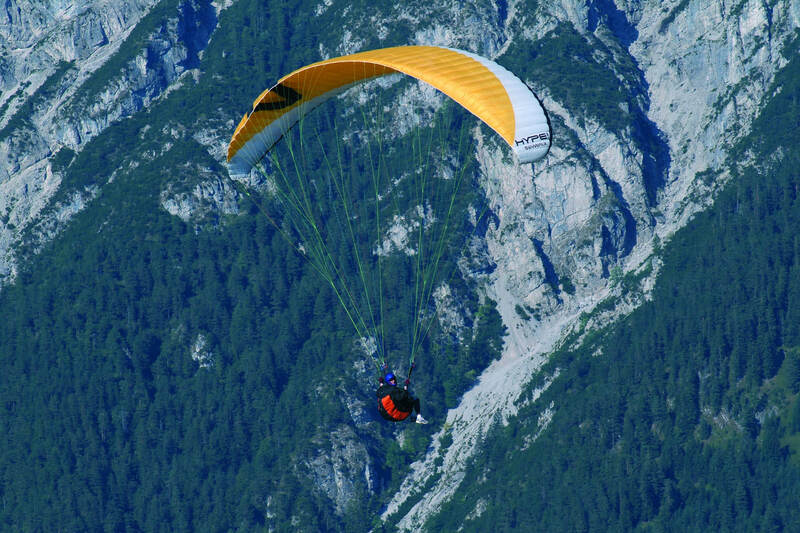 Call the Tandem Hotline to book a paragliding course on your holidays in Achensee, Austria: +43 664 5321467. Alternatively, ask at the Hotel Pfandler reception desk for help with your booking.